A naturopath is a natural therapist trained in the main areas of natural medicine, or alternative medicine. These include herbal medicine, nutrition, diet and homeopathy. Naturopathy is the term used to describe the discipline as a whole. Michael Blanch is one of the most experienced and well respected Perth naturopaths. As a lecturer he has helped train most of the current generation of naturopaths in Perth WA. Iridology is often used as a diagnostic aid by the naturopath. Physical therapies may also be employed, including therapeutic massage and remedial massage. 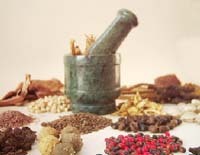 A naturopath may be eclectic, using a mixture of these therapies, or specialise in one or more. First and foremost, the naturopath respects the healing power of nature and the wisdom of the body. To the naturopath, there is only one healing force in existence and that is nature herself. As the philosopher Francis Bacon said, “The only way to control nature is to obey her.” This means that the living organism has an inherent intelligence that strives at all times to maintain harmony, to overcome disease and to restore health, given the right opportunity. Any therapy that attempts to assist this healing force must work with nature, not against her. In essence, this is what naturopathy is and how it works. At our naturopathic clinic in Cottesloe, Perth, we have adopted this philosophy completely. We aim to give your body the right nutritional supplements, homeopathic remedies and herbs to fight off illness. But we do this by working with the body’s healing forces and immune response, not against it. Are we the best naturopath Perth has to offer? No one can make this claim in virtually any industry, but our naturopath Michael Blanch is extremely experienced and educated in this field, with more than 34 years experience. He is dedicated to giving your body what it needs to heal itself. Please see the page About Us for more information. The symptoms expressed by an individual in a state of ill health are produced by the body as a curative response. The naturopath’s first task is this: to identify any factors in the patient’s diet, lifestyle or environment that may be contributing to the problem and to assist in removing them. If any therapy is given it should aid what the body is trying to do, so it is able to break through to a better state of health. Naturopathy aims where possible not just to remove the symptoms but also to remove the reason for the symptoms. In doing that, we also strengthen the body’s own responses and boost the immune system and the life force as a whole. That is the focus of our approach at Cottesloe Naturopathic Clinic. On the other hand orthodox medicine tends to treat the symptoms as being the problem. An example is “essential hypertension” or high blood pressure. This means that the cause of the problem is unknown to the doctor. The naturopath, however, knows that certain dietary deficiencies and lifestyle habits may be the real cause of the problem. In simple cases, correction of these causes often relieves the hypertension. The primary medical approach would be to use drugs to treat the symptoms. This may only ensure that the problem continues and that the patient remains on medication for the remainder of his or her life. Then, with the real cause of the problem unaddressed, the medication prevents one cause of cardiovascular disease; meanwhile other risk factors increase with time. This of course requires more medication, with more side effects. Please note, however, in advanced cases, where survival is threatened, drugs are the only alternative. Here the advice of the medical practitioner should be followed. The natural therapies practitioner who uses naturopathy understands that there are certain essential things that sustain and maintain health. This involves living as close to our natural state as possible. A balanced whole food diet and adequate rest and exercise, as well as a sense of purpose and meaning in life, are the fundamental building blocks of optimal health. The naturopath is trained to educate you in healthy lifestyle choices. Naturopathy is often described as “holistic medicine”. This means that the naturopath views the human organism as a totality, not a collection of parts. If you have a problem with your pancreas, it is not separate from your liver and kidneys. Nor indeed is it separate from “you” or your emotional health. Body, mind and spirit are a dynamic whole. The naturopath aims to achieve true holistic health of the whole person. This means that a naturopathic consultation is usually much more in depth than a visit to the doctor. A diagnosis needs to be made for you as a whole, not just for the isolated symptom pattern, say the dermatitis on the skin that bothers you. The consultation will cover not only all the body’s organ systems, your lifestyle, diet and habits, but also an in depth profile of your emotional health. 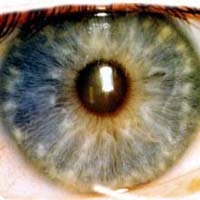 Iridology will also reveal the interconnections between the organs and tissues and the areas of weakness. As an example, skin problems are often a reflection of the emotional state and may be triggered by emotional trauma or grief. The dermatitis or eczema is often the way the body relieves the stress. This takes the stress off deeper, more fundamental organs, such as the nervous system, heart, liver and kidneys. Just treating the dermatitis with a cream, as the doctor usually will, is simply putting the lid back on the pressure cooker. The pressure is then back on the internal organs and it may increase the mental distress. If the itch is on the skin, that may seem a problem, but at least you can scratch it. But if the “itch” is in the mind where you can no longer scratch it, that’s more serious. The doctor’s response would typically be to prescribe an antidepressant at that point. The naturopath, on the other hand, will treat your skin, in this example, as a reflection of the whole – body, mind and emotions. There are medicines, most specifically homeopathic medicines, that are prescribed to you in your entirety. In other words, they are completely holistic. An accurate homeopathic prescription may, as an example, take into account your unresolved grief over a relationship, your tiredness first thing in the morning, your premenstrual depression, your recurring cold sores, your craving for salty foods, as well as your dermatitis – all revealing a need for the homeopathic remedy Natrum muriaticum. This one remedy will help resolve the whole symptom pattern, and relieve not only your dermatitis but also your PMS, your cold sores, your morning tiredness and even your grief, because they were all symptoms of the same underlying disturbance. A naturopath is trained in medical sciences and diagnosis. We know when medical tests need to be done and when to refer to a doctor. We do not believe that the medical approach is wrong; it is just not the whole picture, if you step back and take it all in. Where things have degenerated to the extent that the body is not able to restore health through its own resources (aided by the naturopathic approach), drugs may become necessary. Here also natural medicine may be applied, reducing the amount of drugs necessary to treat symptoms. In this scenario, natural therapies are complementary medicine meaning that they can be used alongside conventional medicine without interfering with the actions of drugs. In most cases, however, naturopathy is truly alternative medicine. Many conditions may be treated by natural medicine alone, and many more conditions can be relieved by natural therapy than are treatable by drugs. This is because the naturopath focuses on the body’s response rather than the disease.For example, viral infections are treated just as effectively by homeopathy as are bacterial infections. In both cases they stimulate the body’s healing response against the pathogen. The body overcomes the infection. It is not a case of the medicine killing the bug, as happens with drugs (which can do nothing against most viruses). And in the process, unlike drug treatment, the body forms antibodies and learns to deal with the problem next time round. Also, the full range of mental and emotional disturbance is treatable with homeopathic remedies: depression, anxiety, bipolar disorder, schizophrenia, obsessive compulsive disorder, ADHD, phobias and more. No routine medicines are given. Each patient is treated individually for their unique symptom pattern. There are no “specific” remedies in homeopathy that are always given in a certain diagnosis. This is a major difference with the medical approach, where usually “one size fits all”. There is always a range of possible remedies depending on the individual’s unique presentation. Please visit the Conditions Treated page for a summary of the many conditions that can be treated by naturopathy. Below is a summary of the main natural therapies that the naturopath draws their treatment options from. The naturopath believes that nutrition is fundamental. Food provides the basic building blocks that form the foundation of our health. Without optimum nutrition the body will not grow and flourish to its full potential. Add to this, a healthy psychological environment where the individual is free to pursue his dreams, form fulfilling relationships and achieve a sense of belonging and meaning. Together, these things help us achieve our full genetic potential. The naturopath is trained to counsel you in these essential areas of your life, both the material and – if you like – the spiritual source of nourishment. Our diet should be as close to nature as possible. The ideal is not always possible, given our lifestyles. Most of us can’t eat fresh food straight out of the garden, and most of us are too busy to eat properly anyway, although we should at least try to. Even where we eat an optimal balance of foods, the foods are often days or weeks old and grown with artificial fertilizers that leave them deficient in basic nutrients. While the naturopath should never see supplementation with vitamins and minerals as an alternative to healthy eating, the fact is that they are often necessary to make up the shortfall. Especially in Western Australia, the soil is deficient in several minerals, and supplements help to redress this. 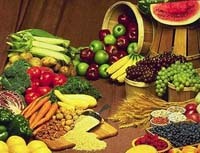 In this clinic, where deficiencies are diagnosed, we prefer to work with the patient’s diet where possible. Sometimes, however, the quickest way to get an improvement in symptoms and restore health is with vitamin and mineral supplementation in the short term. Unlike some naturopaths, we do not use mega doses and multiple numbers of bottles. We believe that it is important to use very specific treatments rather than bombard the body in a “shotgun approach”. There are three things to consider here. Firstly, treatment like this is very expensive. Secondly, it is often more “medical” in its philosophy: they are prescribed to the condition rather than holistically, to the patient. Thirdly, if there is an improvement, how does the practitioner know what is working? We would rather add things one at a time, if necessary, to gauge the body’s response rationally, and then know what is important to continue with. People are often confused by the terms and ask:what is the difference between naturopathy and homeopathy? As we have outlined above, naturopathy does not describe a specific form of treatment, but an overall philosophy of health. If treatment is necessary, the naturopath is trained to choose from the key areas of natural therapies, one of which is homeopathy. Homeopathy was developed over 200 years ago by Samuel Hahnemann, a doctor disillusioned with the medicine of his day. He was actually an early naturopath, for he believed in the healing power of nature and he also believed that health was a dynamic balance of body, mind and emotions. But he realised that sick individuals often needed medicine. Acute diseases could kill even healthy individuals, and chronic diseases were not only caused by the patient’s lifestyle but also influenced by inherited factors that lifestyle improvement could not eradicate by itself. He noticed two things about medicine. Firstly, their toxicity was dependent on dose. Secondly, they had side effects. Maybe the doses could be greatly reduced, and maybe if we knew more about medicines we could prescribe them to patients who needed all of their effects. Then there would be no side effects! In other words, they would be prescribed to the whole patient, holistically, and would stimulate true healing. He developed homeopathy, which fulfilled these ideals remarkably. In our practice, the main therapy is homeopathy, because we find that it is more compatible with the principles of natural healing and naturopathy than any other natural medicine. It restores balance equally on the mental and physical realms. Sure, it requires skill, dedication and experience to apply to its full potential, and not all naturopaths have the patience or have taken the extra training needed to use it properly. But we find that it works, and it works more deeply and better than the other therapies that I sometimes use more to relieve symptoms. Unlike most naturopaths, we am also registered homeopaths. Please read the fuller explanation on the page Homeopathy explained. What is the Difference between Naturopathy and Homeopathy? That is an interesting question. What is the difference between a naturopath and a homeopath? Patients commonly ask that. here in Perth and throughout Australia. Sometimes they are both regarded as synonyms for natural medicine. While both are natural, alternative therapies that focus on the whole person and believe in the healing power of nature, there are key differences. The biggest difference is that naturopathy is an “umbrella” term. Like orthodox medicine it will use a number of different philosophies and styles of treatment to achieve its ends. This may include herbs, nutrition, supplements, fasting, exercise and manipulation and massage. The modern naturopath mainly uses nutrition, supplements and herbal medicine. They may even use homeopathy, but not to the deep extent that a properly trained homeopath employs. Our practitioner Michael Blanch is both a qualified naturopath and homeopath. He uses homeopathy and homeopathic medicines as his main therapy. His experience shows that is the most balancing and natural approach in natural medicine. While most naturopaths are not fully trained in homeopathy, he believes it is the most curative approach. The page Homeopathy explained gives more detail on this. Plants were the first medicines. Even today, about 25% of prescription drugs were derived originally from herbal medicines. To the naturopath and herbalist, the complex chemical action of the whole herb acts quite differently to the single, isolated constituents. 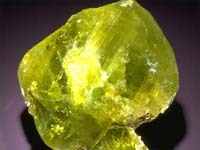 As the body is a complex, interconnected whole, so is the herb and its constituents. We evolved alongside the plant kingdom. The traditional uses of plant medicine, evolved over hundreds and thousands of years often encapsulates a wisdom that modern science is not, as yet, equipped to explain. Again, their approach is to narrow in, not to step back and look at the whole. The action of the whole herb in its natural state is more in harmony with the complex self-regulation of the body as a holistic unit. Herbal medicine is particularly good at detoxifying the body and tonifying various organs, such as the liver, the kidneys and the circulatory and lymphatic systems. They are especially useful for treating immune deficiencies, cystitis, reproductive problems in women (such as painful periods, premenstrual syndrome, fibroids, endometriosis, menopausal symptoms) and male problems such as enlarged prostate and prostatitis. The naturopath studies both the traditional uses of herbs, from native cultures around the world, as well as the increasing wealth of knowledge developed from pharmacological studies of their active constituents and through clinical trials. The eyes are the windows to the soul, the old saying goes. They also reveal a wealth of information about the health of the body. Iridology is the art and science of examining the iris or coloured portion of the eye as a diagnosis of the individual’s health. Since the late nineteenth century a series of doctors and naturopaths have mapped changes in the texture and structure of the irises of their patients and correlated them with organ weaknesses and tissue changes. Essentially, a diagram of the iris can be divided along radials from the centre to the periphery in both eyes, to reveal a map of the various parts and organs of the human body. Reflex zones in the top of the iris relate to the head of the patient and at the bottom are the lower extremities and the kidneys. The gastric and digestive system appears concentrically around the pupil. Signs of right sided organs such as the liver appear mainly in the right eye, whereas bilateral organs such as the ovaries and lungs appear in both. All areas of the body are represented in various portions of the iris, and modern iridology has also identified many signs related to health in the sclera or white portion of the eye. It must be stressed that the iris reveals mainly general constitutional weaknesses, areas of toxicity and inflammation and signs of over activity and under activity and certain mineral deficiencies. It can help predict the vitality of the patient and how quickly they will respond to treatment. However, it is not an accurate diagnostic tool for specific diseases. It is only one diagnostic tool available to the naturopath, and it also tells them little about how to treat the patient. As useful as it is, the naturopath can often glean much more specific information from a full, in-depth case history of the patient. This will both illuminate more about how to interpret the iris signs seen, but also much more about which treatment options to choose. It remains a useful adjunct to diagnosis, but it is not the magic crystal ball that some members of the public like to believe and which some “iridologists” employed by health food stores and pharmacies to sell product like to pretend. Make sure your iridologist is a qualified naturopath and spends at least half an hour interviewing you before you are advised treatment. Therapeutic massage (also known as remedial massage) is a treatment option available to the naturopath. It is primarily employed for problems related to the muscular and skeletal system, including back injuries, sciatica, muscular tension, headaches and migraines, and joint problems like arthritis, and sports injuries. However, massage is also a general tonic that aids optimal health. As a partner to naturopathy, it helps detoxify the body by draining the lymphatic system and improving circulation. 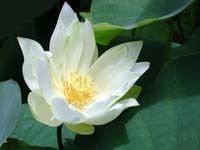 It is calming and rejuvenating to the nervous system and deeply relaxing. 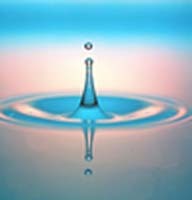 It enables the individual to achieve a meditative state without the long practice required for contemplative meditation techniques. Therapeutic touch is one of the oldest and most potent natural therapies. If you would like to learn more about naturopathy or would like to make a booking with one of our naturopaths at our Cottesloe clinic, please call 08 9385 1484.